Our veterinarians are highly-trained and experienced in both routine and advanced equine dentistry procedures. Routine dental examinations are an important component of your horse’s preventative care program. Oral pathology can affect not only the horse’s ability to chew and digest appropriately, but can also lead to performance problems. At Buffalo Equine we also take special care to ensure the safety and comfort of our patients during and following our dental procedures. We use anti-inflammatory medications, analgesics, and local anesthetic injections when needed. 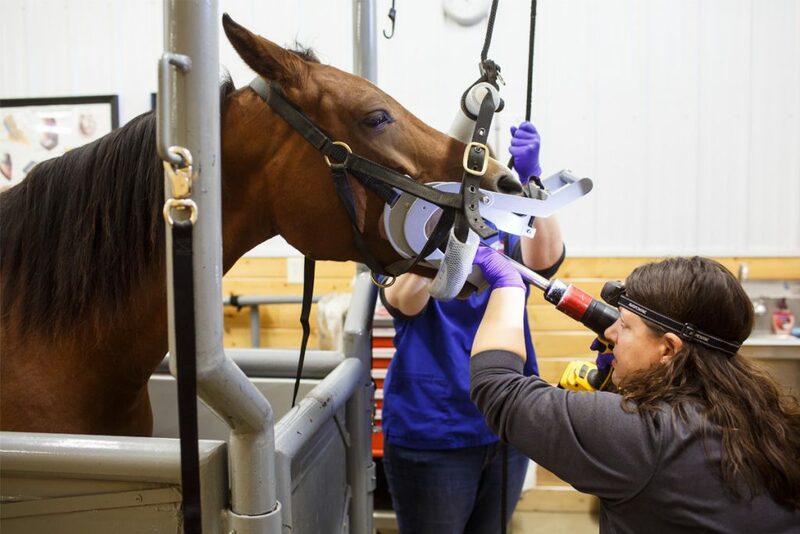 In addition, we try our best to keep our patient in a comfortable position during dental procedures and to limit the amount of time the horse’s mouth is kept open by the speculum.